For more than seven years, Republicans campaigned on “repeal.” In 2015, a Republican-Congress passed a repeal bill, the Restoring Americans’ Healthcare Freedom Reconciliation Act, H.R. 3762. When Republicans finally won the White House and had majorities in the House and Senate, Republicans failed, spectacularly. The discussion changed from “repeal” to “repeal and replace.” The “repeal and replace” legislation that was considered in the House and the proposals in the Senate looked more like a repackaging and rebranding of ObamaCare than anything else. And, even these efforts couldn’t get across the finish line. Meanwhile, the problems with ObamaCare still remain. Between 2013 and 2017, health insurance premiums increased by an average of 105 percent. Health insurance companies participating in the ObamaCare exchanges are due to have their rates for plan year 2019 submitted this month, and premiums are expected to rise once again, which is, at this point, unavoidable. Many counties in the United States have only one health insurance company offering health plans on the ObamaCare exchanges. Given these and other problems in the individual health insurance market, we agree that congressional Republicans should revisit ObamaCare. Some have been working on a plan to do just that. We applaud this effort, but there are serious concerns about the direction that has been taken. This is why FreedomWorks and our colleagues at the Club for Growth, Conservative Partnership Institute, and Senate Conservatives Fund recently rolled out principles for health insurance reform. Those who signed this document believe these principles — which includes the expansion of health savings accounts (HSAs), a per capita cap on Medicaid, true freedom from ObamaCare’s Title I regulations, and the buying and selling of insurance across state lines — are essential starting points for another attempt at health insurance reform. These principles are among the basics for conservative healthcare policy. One concern with the plan rolled out today by the “Health Policy Consensus Group” is that it represents a shift further to the center for conservative healthcare policy and sets new goalposts. This is largely because it has been developed with two people in mind, Sens. 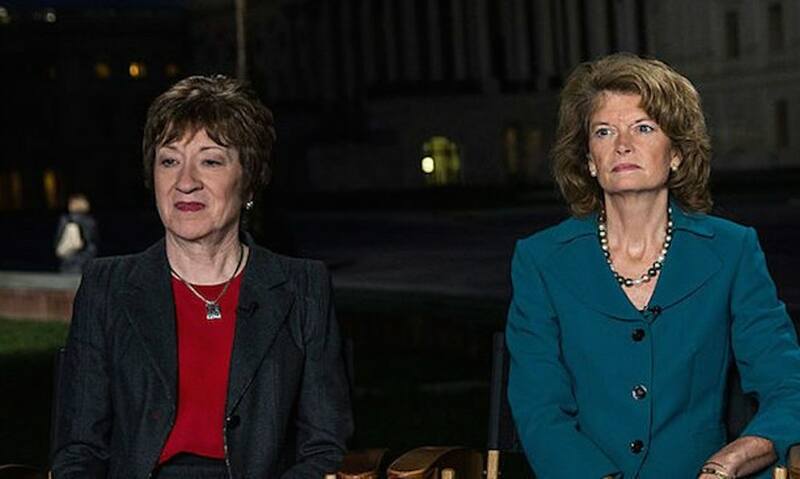 Susan Collins (R-Maine) and Lisa Murkowski (R-Alaska). As of mid-May, these two moderate-to-liberal senators, weren’t aware of the plan. Regardless of whether the “Consensus Group” plan is successful, it could serve as the starting point for future negotiations, which should concern conservatives and libertarians. If this does indeed prove to be the case, this plan will only be further negotiated down, moving even more to the political center. Although there are disagreements with the approach, the effort is laudable. But there are policy concerns about the “Consensus Group” plan, as it has been presented. Specifically, although this working group has been meeting for months, there is an astonishing lack of detail. The “Consensus Group” plan borrows a page from the amendment offered to the House-passed American Health Care Act, H.R. 1628, by Sens. Lindsey Graham (R-S.C.) and Bill Cassidy (R-La.). The primary feature of this amendment, generally known as “Graham-Cassidy,” was that it would have block granted ObamaCare spending and allocated Medicaid on a per capita basis to the states. States could have also received a block grant of Medicaid funding rather than on a per capita basis. The original version of Graham-Cassidy allocated $1.172 trillion over seven years for the block grants. In a full ten-year budgetary window, the spending would have been close to the $1.8 trillion in spending under ObamaCare. Importantly, Graham-Cassidy would have capped the growth rate of Medicaid to Consumer Price Index for Medical Care (CPI-Medical) between FY 2020 and FY 2023 and CPI for All Urban Consumers (CPI-U) beginning in FY 2024. CPI-Medical is a higher growth rate than CPI-U. However, CPI-U would keep Medicaid from growing more quickly than overall economic growth, and it would also be slower than the rate the program has grown in recent history. Graham-Cassidy also allowed states the ability to waive certain parts of Title I of the Affordable Care Act, usually referred to as the “ObamaCare regulations,” so long as they complied with other provisions of the law. According to the Heritage Foundation, these regulations are responsible for 44.5 percent to 68 percent of the health insurance premium increases under ObamaCare. Under Graham-Cassidy, states could have obtained waivers for community-rating, health status, essential health benefits, actuarial value, cost-sharing, and minimum loss ratio. Waivers had to meet certain requirements. A state seeking a waiver would have had to explain how it planned to “maintain access to adequate and affordable health insurance coverage for individuals with pre-existing conditions” if the waiver was to be approved. These new requirements for certificates of compliance had a dampening effect on the true waiverability of the regulations, but at least the regulations were in statute able to be waived. Now, Graham-Cassidy was pitched as “repealing and replacing ObamaCare.” It was a complete overhaul of ObamaCare, but it kept much of the spending in place and still maintained many of ObamaCare’s regulations, either directly or indirectly. It was also sold as an approach grounded in “federalism.” We disagreed with that phrasing. More accurately, Graham-Cassidy was federalism...with strings attached. Despite its flaws, we believed that Graham-Cassidy was the last real opportunity to reform the individual health insurance market in a year that Congress was actually active on the issue and negotiations among members were ongoing. We hoped to see changes to the language to make the waivers difficult to deny. Approval of these waivers may not have been a problem under the current administration but could be under the next. Such improvements would have been enough to garner our support. The plan rolled out today by the “Consensus Group” takes a similar approach to Graham-Cassidy, in that it would in statute repeal ObamaCare’s advanceable, refundable premium tax credit and Medicaid expansion but, instead, would simply modify them by issuing ObamaCare funding and Medicaid in the form of block grants. It would require that at least half of the block granted funds to a state be used for the purchase of private health insurance and that at least half of the funding be used to cover low-income consumers. Part of the block grant would be used for risk mitigation. The “Consensus Group” plan doesn’t offer any details on the block grants for Medicaid, but the original version of Graham-Cassidy would have allowed per capita funding of up to 138 percent of the federal poverty line (FPL). This means that Medicaid expansion levels of funding would have remained in place, should this plan follow the same guidelines. The “Consensus Group” plan doesn’t make mention of a Medicaid per capita cap. However, based on a May 31 report in the Washington Examiner, the plan doesn’t include the cap. The Senate’s original health insurance reform amendment, the Better Care Reconciliation Act, included the cap, which the Heritage Foundation called the “greatest single entitlement reform in a generation.” This was carried over into the original version of Graham-Cassidy, but, again, doesn’t appear in the “Consensus Group” plan. Although the original version of Graham-Cassidy would have offered states limited ability to waive several ObamaCare regulations, the “Consensus Group” plan makes mention of only four waiverable regulations: essential health benefits, single risk pools, minimum loss ratio, and age-rating. Now, the “Consensus Group” plan doesn’t make mention of this, but we’ve heard that the plan may include the codification of the Trump administration’s short-term limited duration (STLD) plans rule as a substitute for waivers for ObamaCare regulations. The rule would expand the duration of these plans, which, depending on the state, are free from ObamaCare regulations (although states may mandate certain benefits) to 12 months from three months. There may be renewability for STLD plans under the “Consensus Group” plan, whereas, under current law, there isn’t. That may make STLD plans more attractive to those looking for more affordable plans on the individual market. But, as it currently stands, these plans are “a relatively small segment of the individual market,” according to the Heritage Foundation. In 2016, 160,638 consumers were covered by under STLD plans, less than 1 percent of the individual market. Currently, New York, New Jersey, and Massachusetts have banned underwritten STLD plans. Vermont and Rhode Island have not banned STLD plans, but insurance companies don’t offer any of these plans. More states may move to ban or subject these plans to ObamaCare-style mandates. There is an incentive for states where STLD plan expansion even for the small population would be possible, due to the tying of block grant funds to risk mitigation. With these restrictive strings attached for states to receive the block grant, or else risk having their waiver denied, states will be incentivized to do everything they can to keep costs of providing for high-risk individuals as low as possible, which means keeping young and healthy consumers in the single risk pool. The “Consensus Group” plan doesn’t make any mention of ObamaCare’s taxes. Graham-Cassidy would have repealed the taxes on over-the-counter medications, health savings accounts, and medical devices. It would have also zeroed out the individual and employer mandates. The individual mandate was zeroed out in the Tax Cuts and Jobs Act, H.R. 1. The absence of the Medicaid per capita cap and the lack of other ObamaCare regulations that could be waived are two very unfortunate flaws of the “Consensus Group” plan. But again, the plan was developed with two moderate-to-liberal Republican senators, Collins and Murkowski, in mind. Now, it should be noted that there is one major positive reform in the “Consensus Group” plan, which is the expansion of health savings accounts (HSAs). The plan would double the contribution limits and would make more health plans compatible with HSAs. The “Consensus Group” plan doesn’t, however, reveal whether paying health insurance premiums out of an HSA would be part of these reforms. HSA expansion is an area that has been present in nearly all recent Republican health insurance reform proposals. The House-passed American Health Care Act included HSA expansion, as did the original Senate amendment, the Better Care Reconciliation Act, and Graham-Cassidy. It was also part of Sen. Paul and Rep. Mark Sanford’s (R-S.C.) ObamaCare Replacement Act and Sens. Cassidy and Collins’ Patient Freedom Act. The ball is already rolling on the expansion of HSAs. The House Ways and Means Subcommittee on Health recently held a hearing on HSAs, with legislation to expand HSAs in mind. Legislation has already been introduced by Rep. Dave Brat (R-Va.) and Sen. Jeff Flake (R-Ariz.). The Health Savings Account Expansion Act, H.R. 247 and S. 28, would increase contribution limits for HSAs and allow consumers to pay insurance premiums from their HSAs. Additionally, HSA expansion was most recently included in Sen. Paul’s Penny Plan Balanced Budget, which gave reconciliation instructions to increase contribution limits and allow HSAs to pay for premiums as well as other health care costs including supplements, over the counter medications, and other health-associated products. Unfortunately, this budget was voted down by the Senate. In the same vein, the administration’s recently proposed rule to expand association health plans (AHPs) is a step in the right direction. The expansion of association health plans allows small businesses to band together to provide more affordable health insurance free from some ObamaCare regulations to their employees. Again, the effort to take another stab at health insurance reform is a welcome one. But we shouldn’t build a plan around Republicans like Sens. Collins and Murkowski, who voted against even the “skinny repeal” amendment to keep H.R. 1628 alive to go to a conference committee. Some will undoubtedly accuse those who ultimately decide not to endorse the "Consensus Group" plan of being purists; that we want full repeal or 2015-style repeal or bust. We would certainly prefer this approach, but we realize that this isn't possible. Perhaps the best approach is the one that is already being taken, which is to chip away at ObamaCare, piece by piece, and focus on pushing Congress to pass health insurance reform policies for which there is truly a consensus. Thanks for the post! You are right, the government should return to the consideration of the ObamaCare bill, it is necessary for many people. After all, it guarantees health insurance to all who need it. My friend is now suffering financially because of diabetes. He has to buy medicines with coupon https://rx24drugs.com/coupon/insulin-lispro-prescription/ to save a little money. His insurance is now canceled and the ObamaCare project can help him with this!